The perpetual problem: so much to eat, so little time. 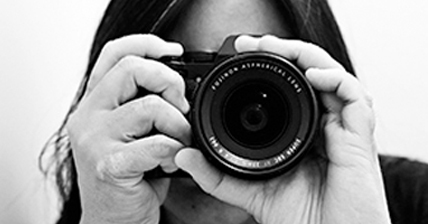 Here are three places worth checking out if you haven’t already. 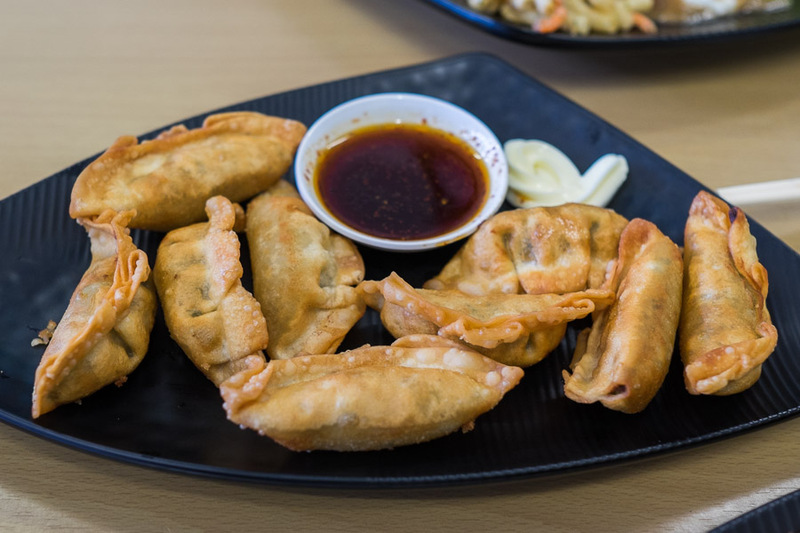 I’ve written about the original Mom Dumpling House in East Vic Park before. 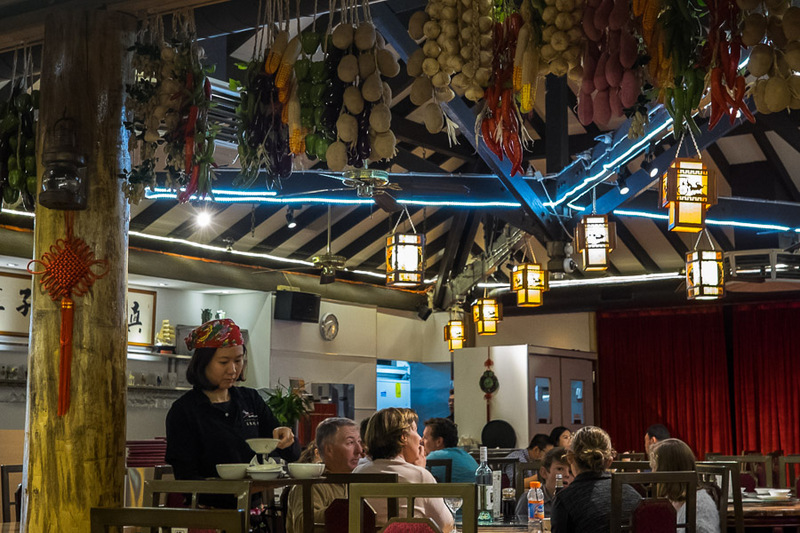 Mom Dumpling House serves much more than dumplings, and its cuisine is Northeastern Chinese, which has its origins in the region of China known historically as Manchuria, next to Russia and Mongolia. 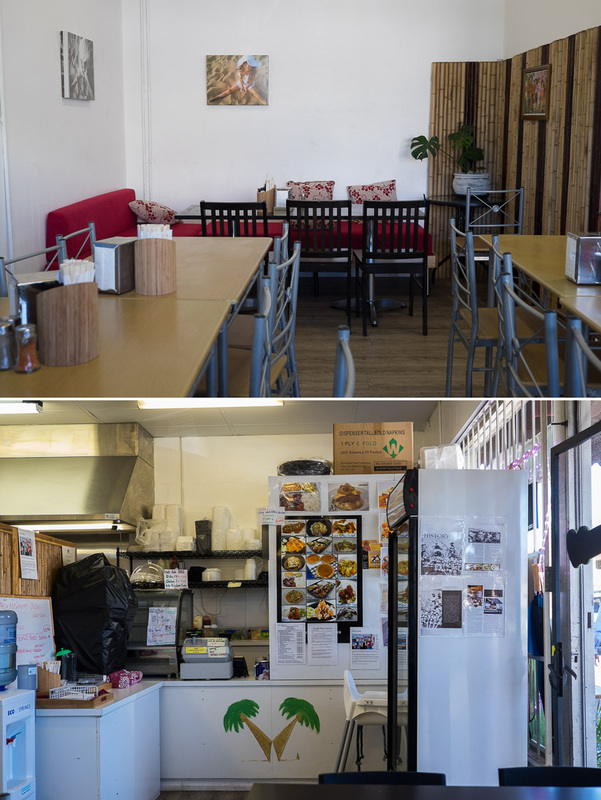 We’re regulars at East Vic Park, which can get pretty busy for dinner, but lately have been eating at their second location in Willetton, which is more spacious than Mom in East Vic Park and nowhere as busy (I’ll be optimistic from Mom’s perspective and say not yet). 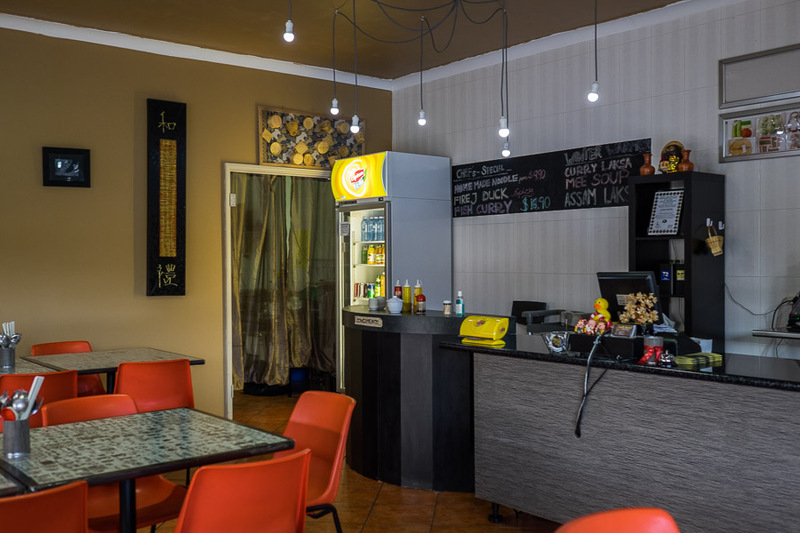 The Willetton location on Yampi Way used to be Roxby Thai Restaurant, which is now in O’Connor. The Mom menu is big – in physical size (a bit unwieldy at the table, to be frank, but with very helpful full colour photographs) as well as content – we’re still working our way through it, though we have a shortlist of favourites that bring great delight and comfort, which we order again and again. As far as I can tell, it’s the same menu at both restaurants. 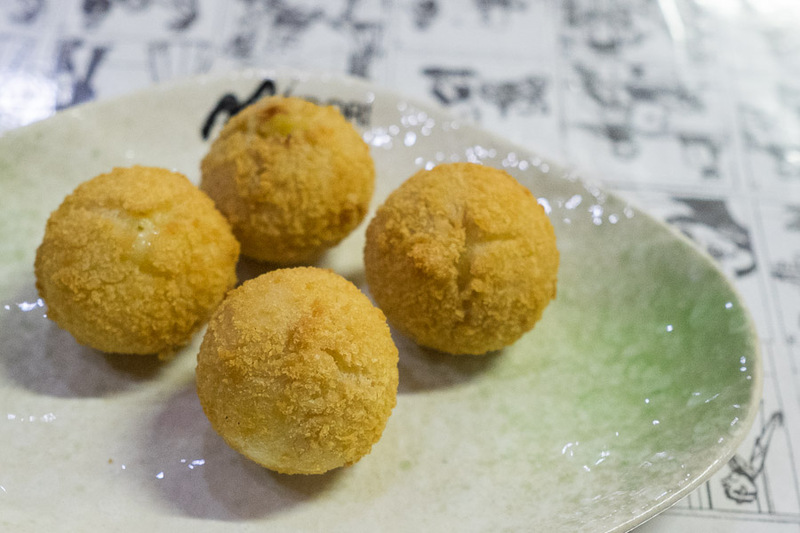 My previous blog posts about Mom Dumpling House in East Vic Park provide more details: August 2012 and October 2014. Pan-fried pork dumplings (AU$9). The chewiness of the dumpling skins are a sensational pleasure. Pork and Chinese cabbage steamed dumplings (AU$12 Large, $6.50 small). Probably the best rendition of these dumplings that we’ve had (the texture and thickness of the skins noticeably superior to the ones we’ve eaten previously at Mom’s in East Vic Park). Braised pork belly with vermicelli claypot (AU$20). 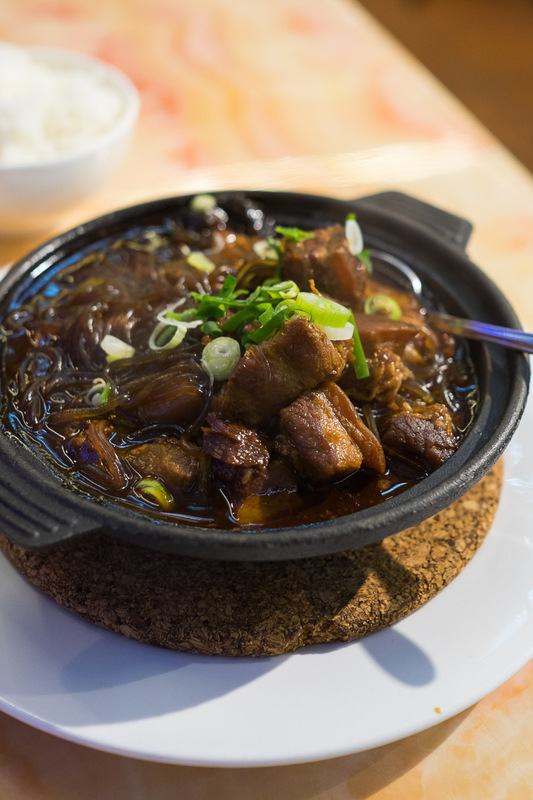 Fatty, tender chunks of pork belly, slippery noodles coiled in the sauce, tangled with Chinese black mushrooms. 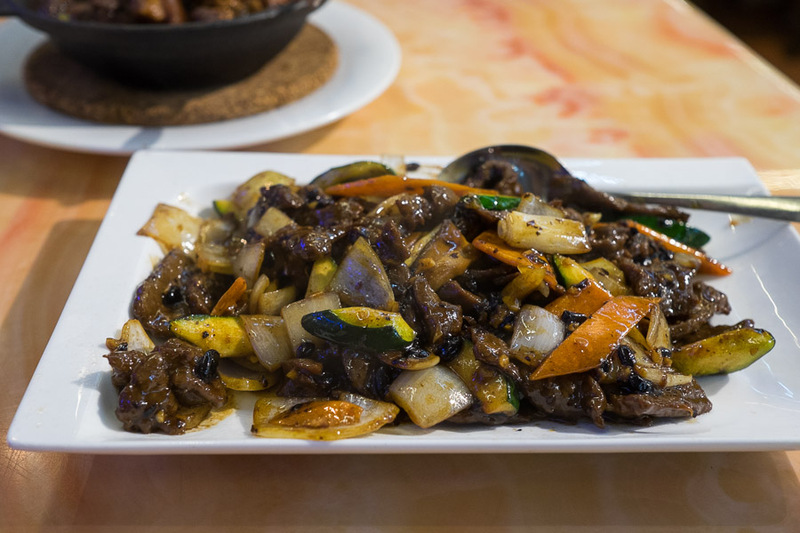 Black bean beef (AU$14.80) – such a Chinese restaurant cliche, along with lemon chicken and sweet and sour pork. Mom’s rendition was packed with flavour from plenty of salty fermented black beans and the smoky taste of wok hei. 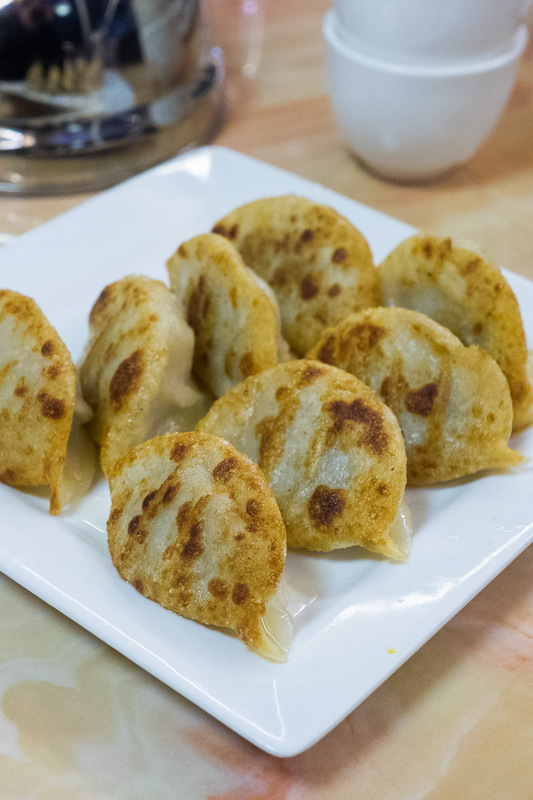 If Mom Dumpling House has a weakness, it’s its deep-fried dishes. 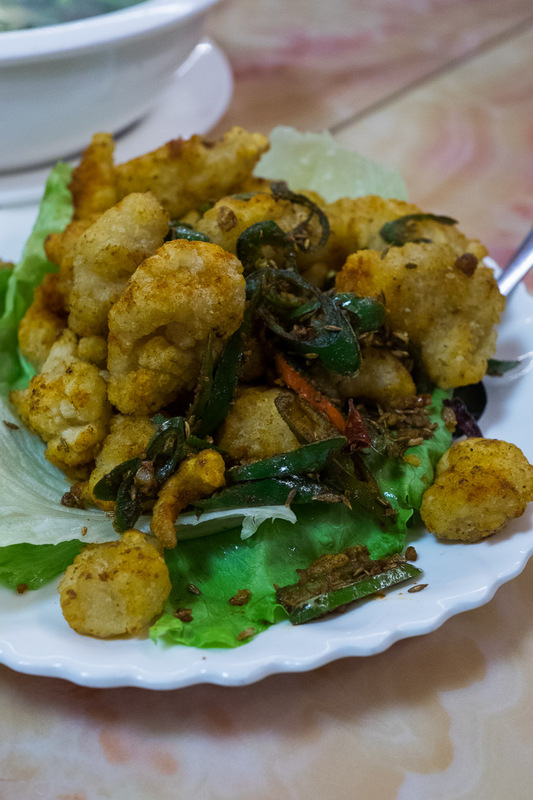 We’ve had the salt and pepper pork, which was very dry, and most recently with friends, the salt and pepper squid, also dry and loaded with searing hot green chillies but otherwise strangely bland. Salt and pepper squid (AU$15.50) – probably the low point of our recent meals at Mom Dumpling House, we won’t order this again. 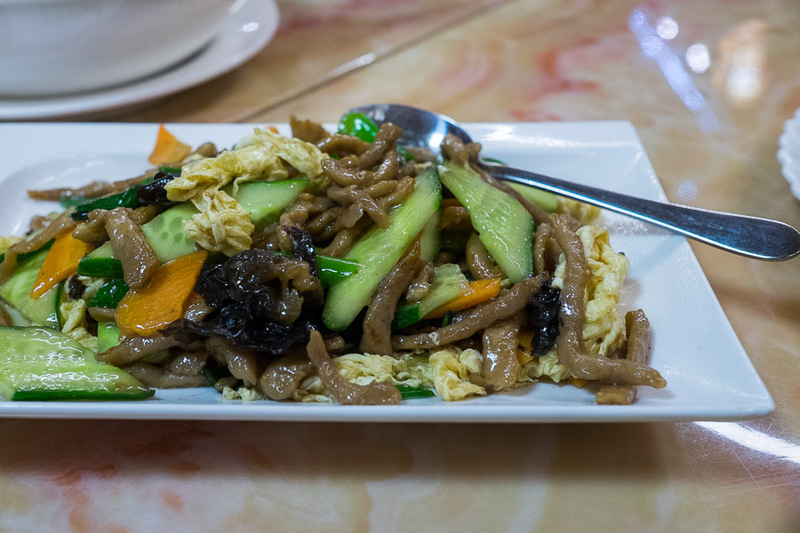 Sauteed pork, egg and black fungus (AU$14.80) – we’ve had this dish several times, at East Vic Park and now Willetton – we absolutely love it. The niblets of pork are extremely moreish. 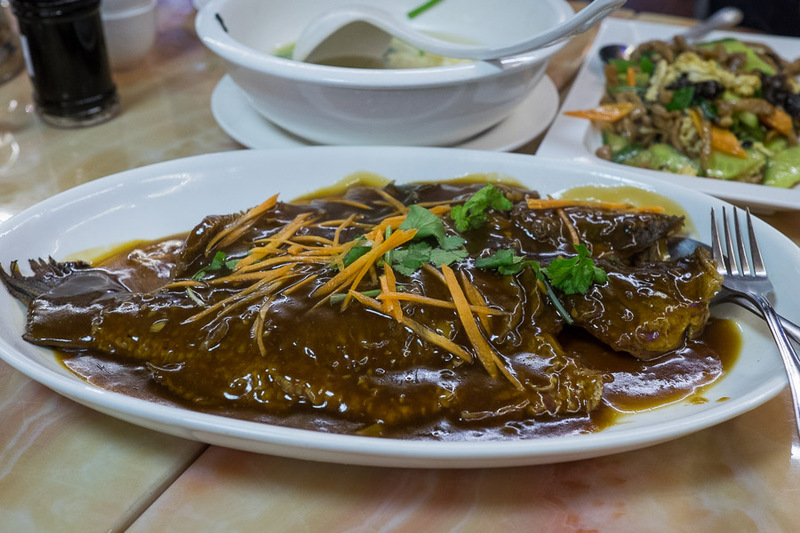 Braised whole fish in brown sauce (AU$28) – this was first time we ordered it, shared between four people. It was well worth the effort of picking away the bones – underneath the swampy brown sauce was tender, fine white flesh. 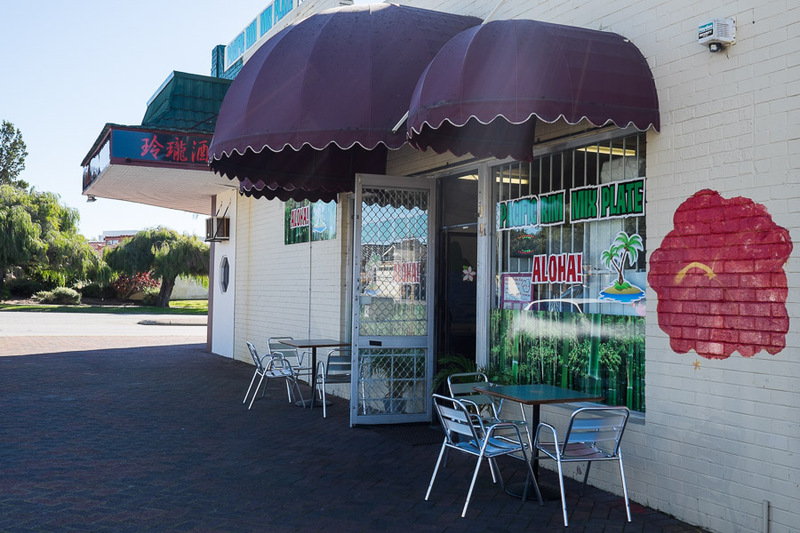 The original Mom Dumpling House is at 687 Albany Hwy East Victoria Park. We’ve been to the Pacific Rim Plate a couple of times now, a Hawaiian fusion cafe. 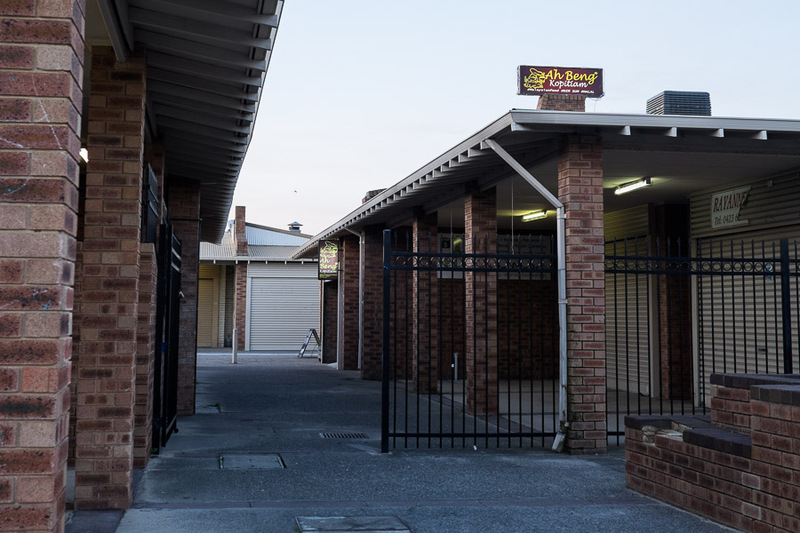 Its address is Canning Highway but it’s actually just off the highway. 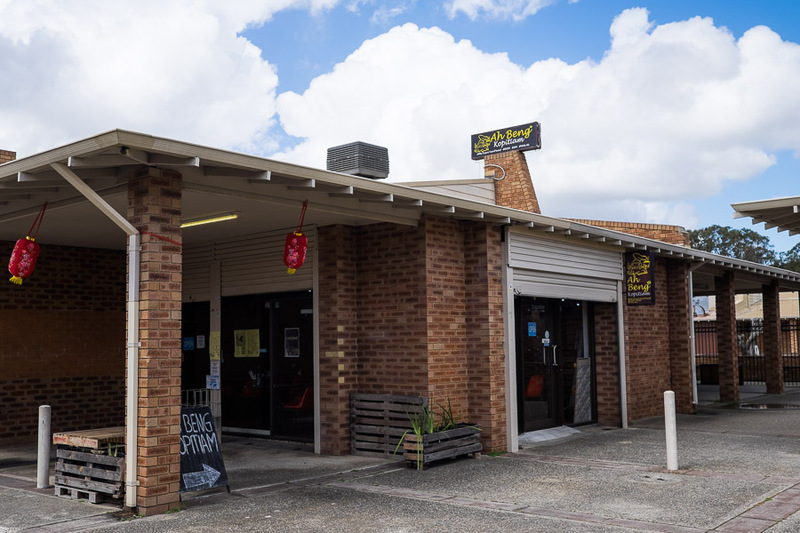 If you’re driving along Canning Highway, look out for the Chinese restaurant with the words ‘Applecross SK Cuisine’ emblazoned across a black roof – Pacific Rim Plate’s front door (with burgundy awning) opens onto Willcock Street next to the Chinese restaurant. Most meals can be ordered as W or P. W (wiki wiki) is served with only one side (rice is the default, but you can ask for salad or pasta salad instead). 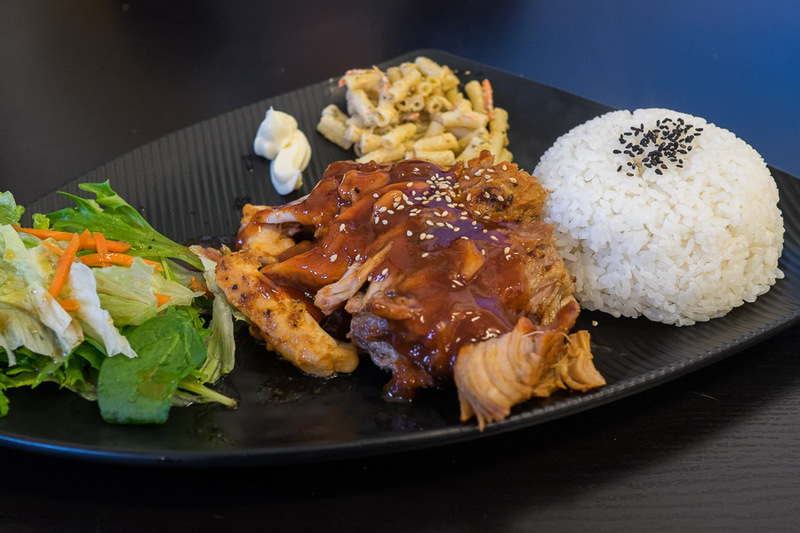 P (plate) comes with rice, salad and pasta salad, a nod to the ‘plate lunch’ in Hawaii, which usually consists of meat or fish plus rice plus macaroni salad. There’s clearly a Japanese influence which you see in little touches like the squeeze of Kewpie mayonnaise on the plates. The chef’s got a talent for sauces, and you are encouraged to select from a tantalising list: Huli Huli BBQ, Tarragon, Spicy Pele, Honey Garlic, spicy sweet Wasabi, Ginger Miso, Teriyaki, ‘The Mix’ (Tarragon and Spicy Pele), Spicy Citrus, TNT (Teriyaki and Tarragon), and Luau Sauce. We were warned the huli huli BBQ chicken and spare ribs are extremely popular, only available on certain days (Tuesday, Thursday and Saturday) and tend to sell out, so get there early for those. I’d suggest getting there early anyway, as it’s a pretty small place that fills up quickly – they do a roaring takeaway trade. The huli huli BBQ chicken and ribs combo was the perfect way to enjoy both. Quite maddeningly, there’s a photo of ahi poke included with the other pictures next to the counter where you order, but they haven’t had any on the occasions we’ve eaten there. Looks like I’ll be taking my ahi poke craving back to Hawaii in the next year or so (though I think Jac’s game to get some sashimi grade tuna and have a go at making it herself). Don’t let the frumpy burgundy awning, cramped entrance, cluttered front counter and the tacky palm tree mural stop you from giving this place a go. This is casual dining at its comforting best. Huli Huli BBQ chicken and ribs combo ($17.90 plate) – succulent chicken and tender pork that fell off the bone, and a finger-licking good sauce. Creamy tarragon fish (AU$13.90 plate). Jac said the creamy tarragon sauce was delicious. Loco beef with egg and mushroom gravy (AU$14.90 plate). 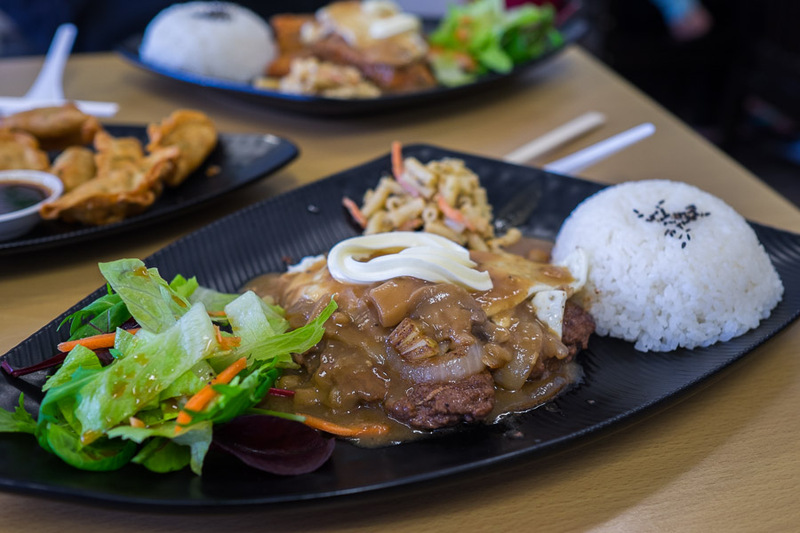 Loco moco is Hawaiian comfort cooking, usually consisting of hamburger pattie topped with egg and gravy, served on rice. 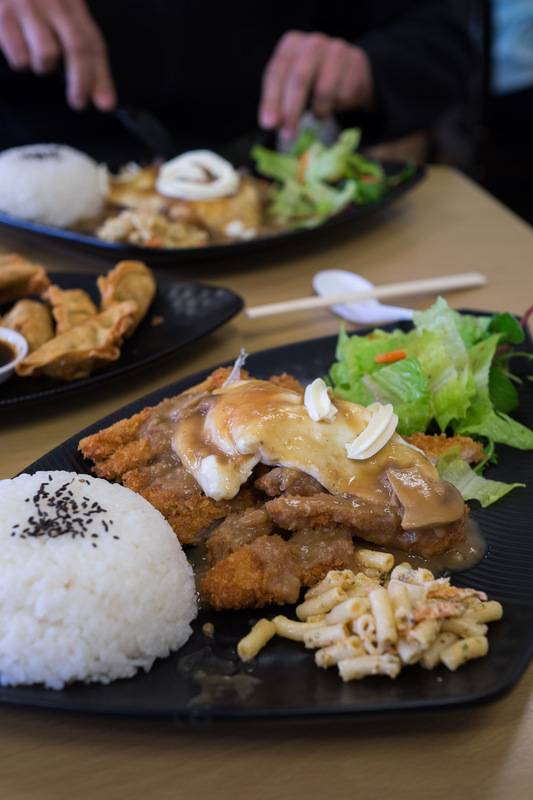 Pacific Rim Plate offers three variations: beef, katsu chicken and katsu pork, each served with mushroom gravy and an egg, available in the W and P options. 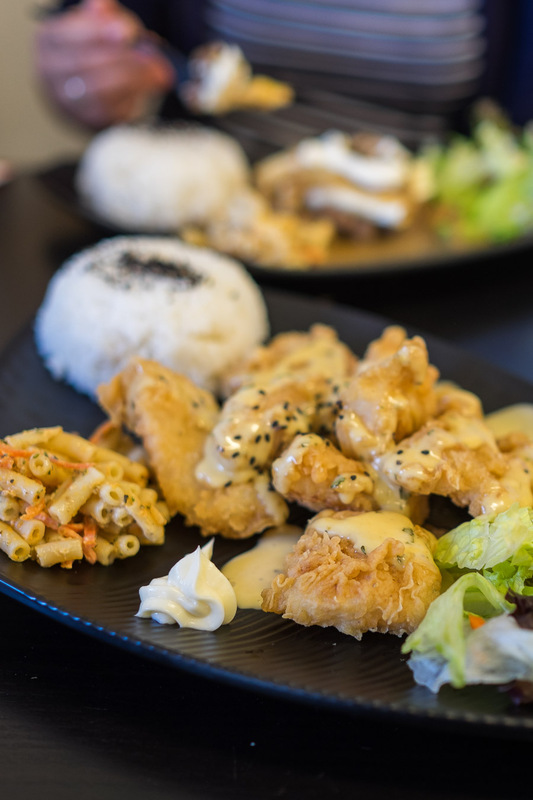 Loco katsu chicken with egg and mushroom gravy (AU$14.90). 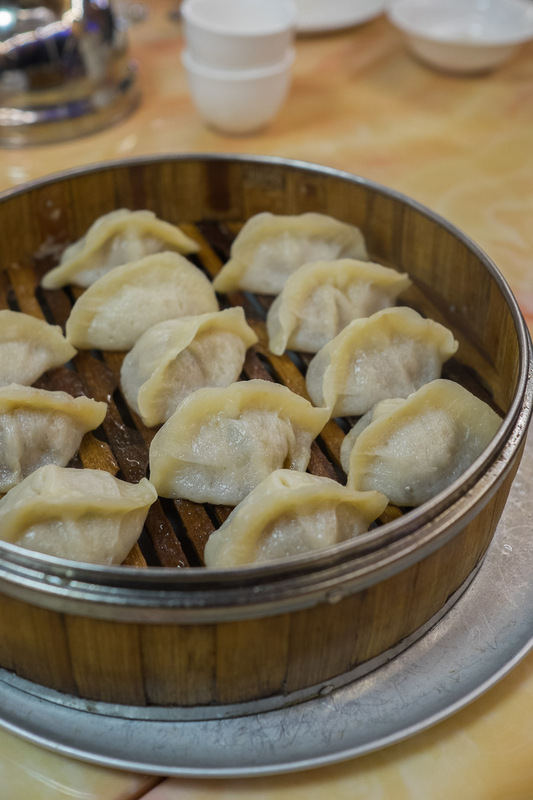 Pork dumplings (AU$8) – these were a special of the day, a cross between wantan and gyoza. Inside, the decor is quite plain apart from a few Hawaiian motifs – you can’t miss the large (dare I say, tacky) palm tree mural on the main wall. Order at the counter, and don’t forget to look to the whiteboard on the left for daily specials. Not your typical corner lunch bar. PS. That’s a red hibiscus painted on the wall, not an odd red cloud! Ah Beng Kopitiam doesn’t have the best location; you can’t really see it from the street when you’re driving by. It’s tucked away in a small quiet shopping centre called Langford Village, with a tiny sign sticking up from the roof. We’ve eaten there a couple of times and it’s been a pretty desolate atmosphere – there’s never been more than two tables occupied each time – including ours. There’s a lack of refinement, just like home, where the priority is a hearty feed and no one cares that the sliced chicken isn’t neatly lined up on the plate, and you’d be stoked to have homemade durian ice cream for dessert, even if its texture is more ‘ice’ than ‘cream’. 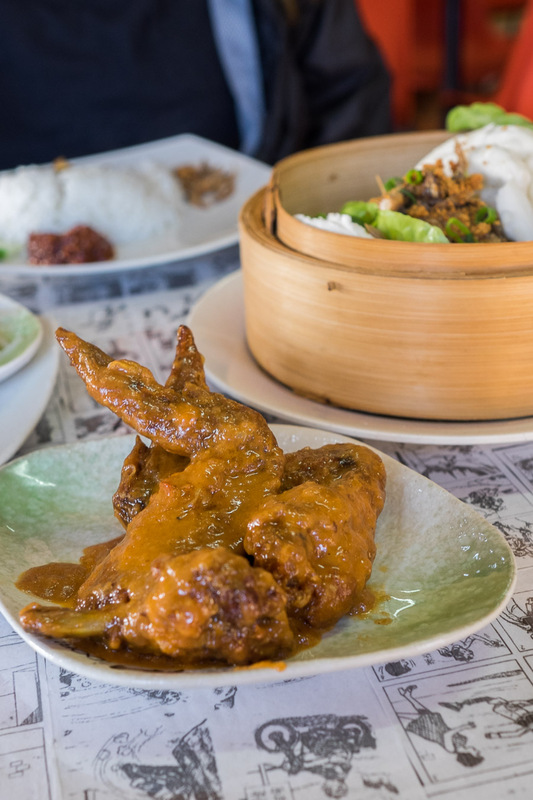 We appreciated the cheap and cheerful simple fare and will be back, though we’re truly spoiled for choice with so many good, well-priced Malaysian restaurants in suburban Perth these days. 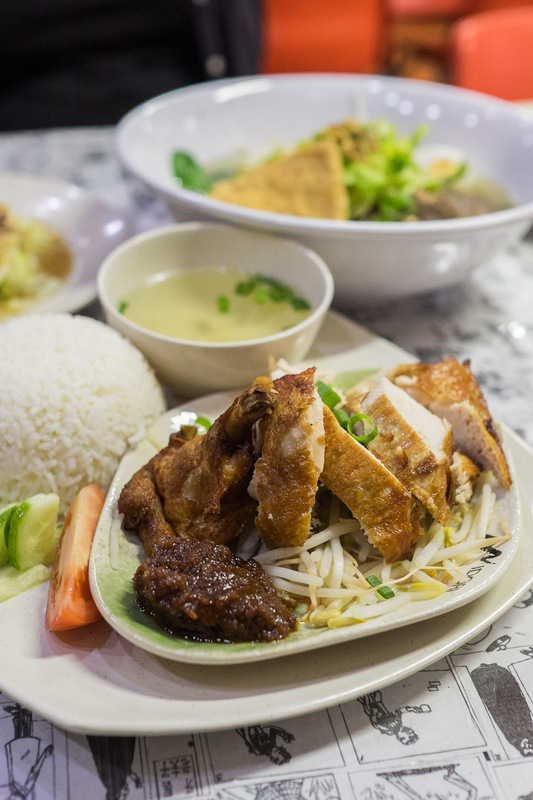 Fried chicken with rice (AU$12.50) – they were out of Hainanese chicken rice on our first visit, so I had plain steamed rice with fried chicken instead. The chicken’s served on bean sprouts with a light chicken broth on the side, and a blob of sambal chilli. 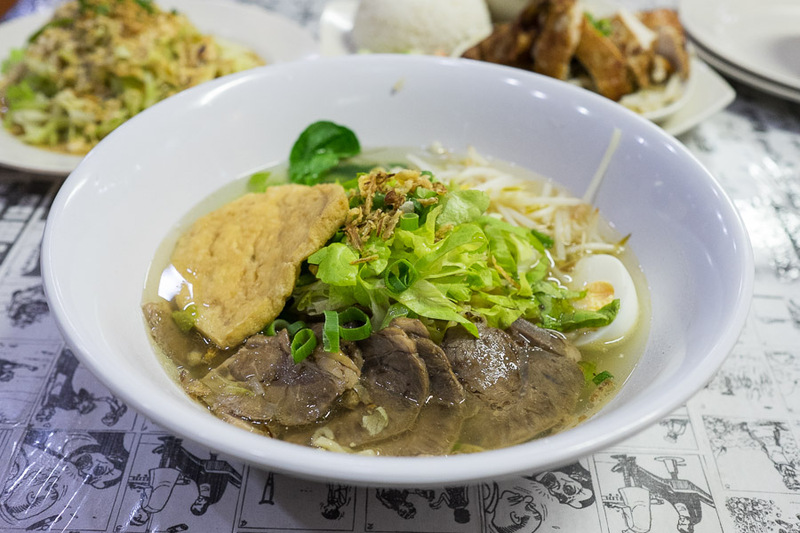 Homemade noodle beef brisket soup (AU$14.90) – the photo does not show how enormous this bowl was, a deceptively substantial meal of homemade egg noodles, sliced beef brisket, tofu, egg and beansprouts. Jac struggled to get through the whole serving. 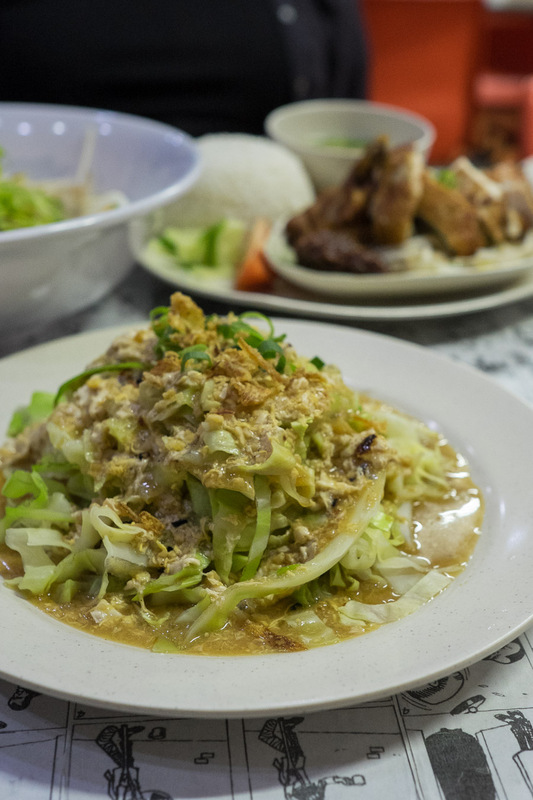 Fried cabbage with egg and chilli (AU$7.50) – my late grandma and my mum cooked a similar dish when I was growing up, and Jac and I cook fried cabbage and egg at home from time to time. While most people would refuse to order something they can make for themselves at home, I’m always curious to taste someone else’s version. Really loved this. 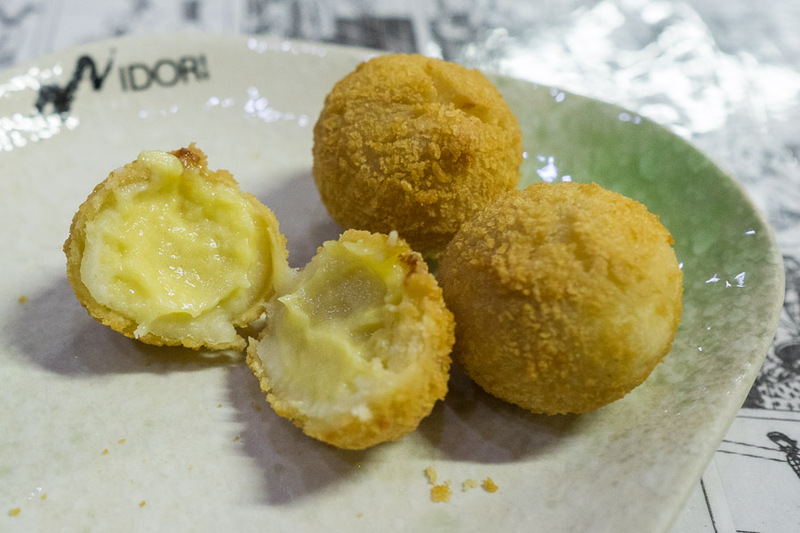 Durian ball innards. I could smell the durian as I took this photo. 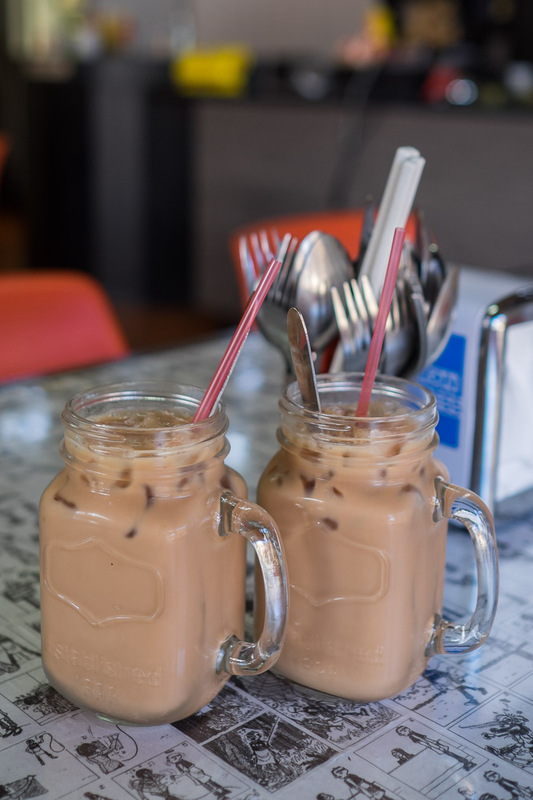 I had the teh tarik ice (AU$4) both times we’ve been to Ah Beng. No doubt I’ll order it again on my next visit. Nasi lemak with egg (AU$4.50). 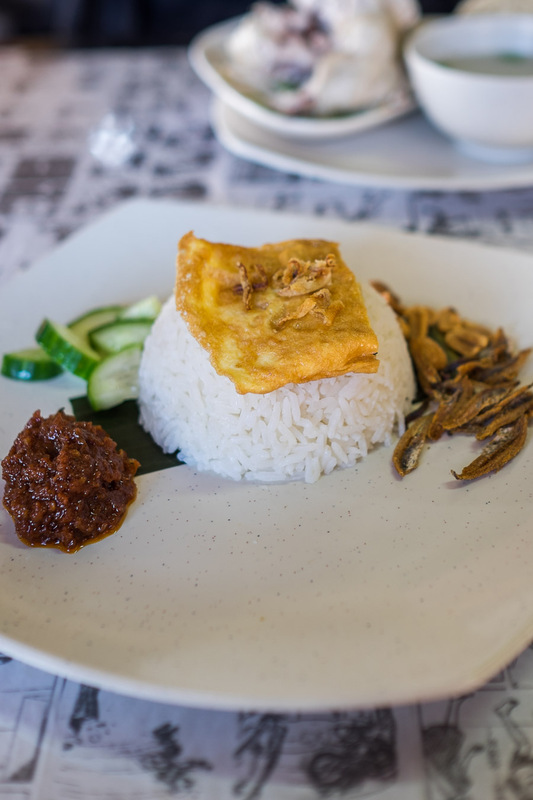 A basic nasi lemak with coconut rice, sambal, cucumber, fried peanuts and anchovies and half a fried egg. 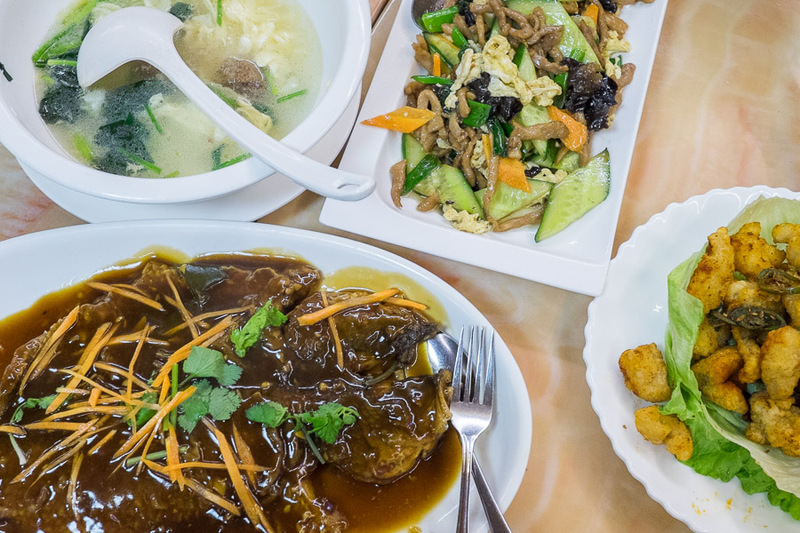 Yes, you can get better versions around town, but for the price, choose another dish to go with it and you have yourself a pretty decent cheap feed. Cheesy chicken wings ($6.50, 2 pcs) – to be honest, we weren’t sure what to expect here. The wings were garlicky and savoury, smothered in a gooey, stretchy cheese-laden sauce. 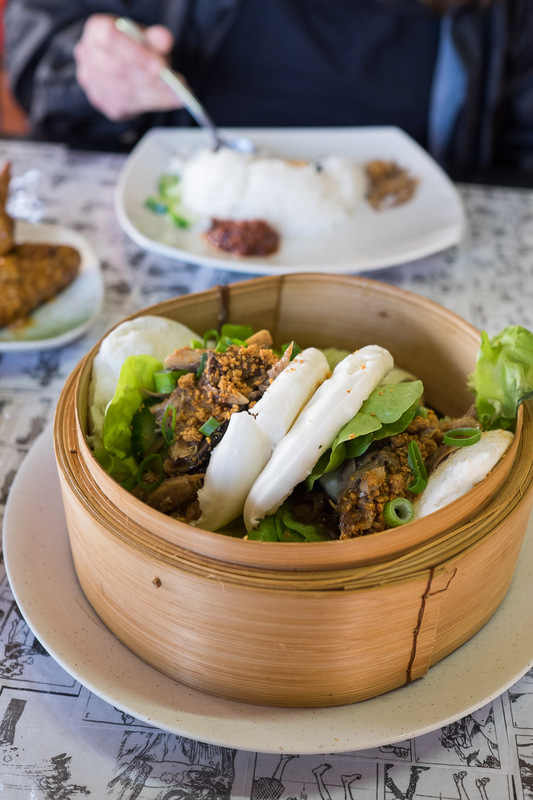 Duck gua bao (AU$5.50, 2 pcs) – bao are all the rage in Perth right now. These were pretty good, stuffed with lettuce, shredded duck, topped with crushed peanuts. 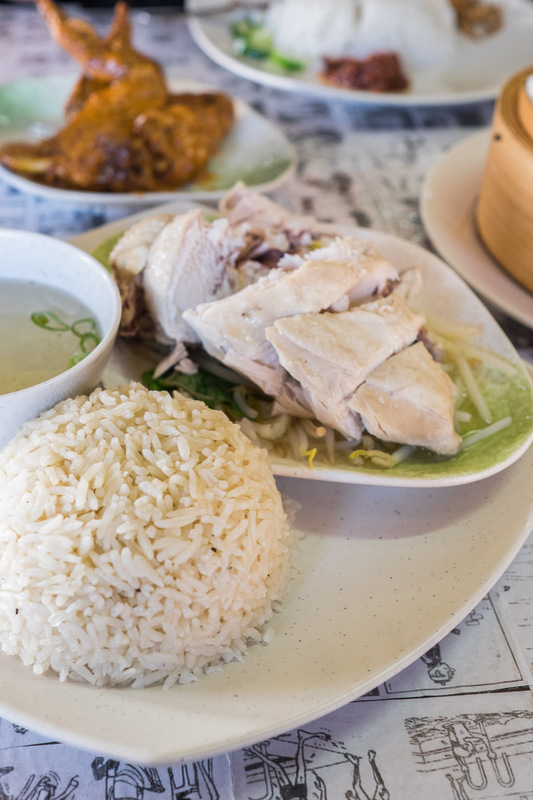 Hainanese chicken rice (AU$11.50). The chicken flavour of the rice was decent, but the chicken was drier than what you’d get at Tak Chee House or even PappaRich. 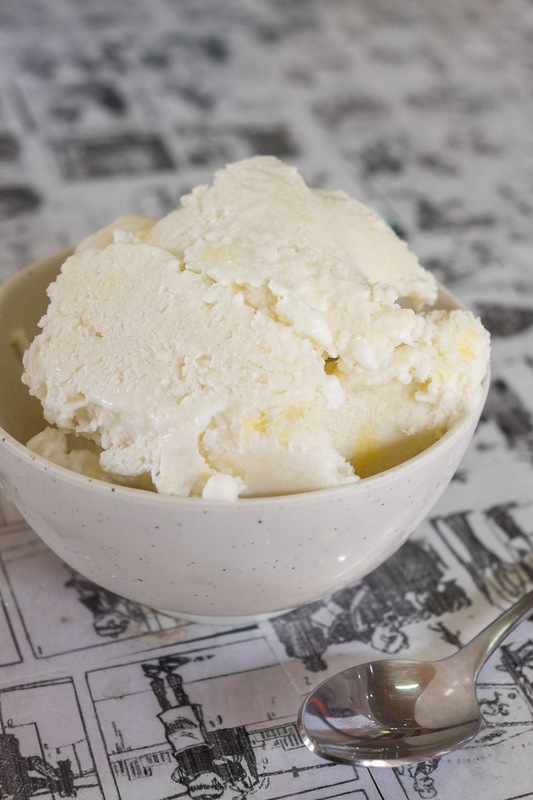 Homemade durian ice cream (AU$4.50) – a little on the icy side, but the durian aroma and flavour hit the spot. Love the comic strips on the laminated table tops, though it proved somewhat distracting to the conversation at times! There’s a self-serve condiment station in the corner. Not an inspiring shopfront, another case of ‘don’t judge a book by its cover’. Worth a look if you like Malaysian food, but they have tough competition around town. It’s worth noting for my Muslim readers that Ah Beng’s is a halal menu. 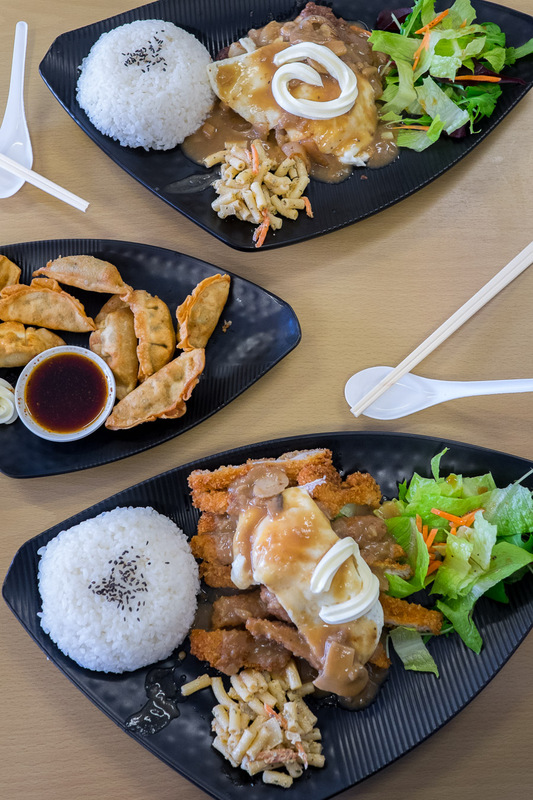 Langford Village Shopping Centre is home to another of our favourites, Kanta Japanese Kitchen.